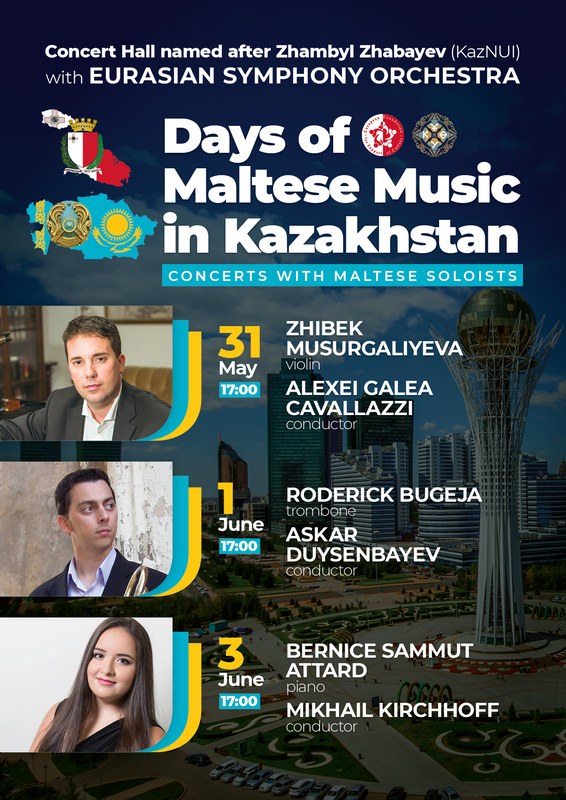 In May-June 2019, the European Foundation for Support of Culture together with the Kazakh National University of Arts - Kaznua will hold the “Days of Maltese Music ” in Astana, the capital of Kazakhstan in the best concert halls of the city such as the Organ Hall KazNUA, Central Concert Hall "Kazakhstan" and Concert Hall KazNUA named after Zhabaev with participation of such famous orchestras as the Eurasian Symphony Orchestra and State Orchestra "Academy of Soloists". The project would unite famous Maltese and Kazakh musicians. For real admirers of classical music, during the Days of Maltese Music, compositions by Maltese composers will be performed, such as Joseph Vella, Charles Camilleri, Karl Fiorini, Alexey Shor, Albert Garcia, as well as music of famous Kazakh composers and others. All performances of the project will be widely covered by the local and international media, including popular TV and radio broadcasting stations.